Once you have the organization of your essay laid out, and you’ve thoroughly addressed all the main points that you intended to cover, it’s important to take the next step, and look at how you conveyed your information. You’ll want to ask yourself questions about the tone, and voice of your essay. You’ll take a closer look at word choice, phrasing, and sentence structure. You’ve dealt with the higher-order concerns of paragraph ordering, content, and overall organization. Now it’s time to take a look at the details. This step will also give you an opportunity to make seemingly minor adjustments, proofread for typographical errors, and correct grammar and punctuation usage. What is Editing For Style? Editing for style involves tweaking the phrasing of your sentences, adjusting the word order, and developing the clarity, tone, and eloquence of your thoughts. It’s a process that involves paying attention to the finer details of your essay, and it begins after you’ve successfully put your main thoughts down on paper. Editing for style comes after editing for structure, where you look at what are called higher-order concerns, such as the order of your paragraphs, and the organization of your thoughts, and basic layout so that you’re satisfied with the majority of your content. You can think of editing for style as going over your essay with a fine-toothed comb, finding the smaller imperfections and perfecting them. At the beginning of this process, you can run spelling and grammar checkers, but beware that these checkers are definitely not foolproof. Spell checkers will not catch homophones, which are words that sound alike but have different meanings. An example would be hair versus hare. A “hair” is on a person’s head, while “hare” is a rabbit. Spell checkers will also not catch typographical errors if they result in a different, but correctly spelled, word than the one you intended. Grammar checkers are even more liable to inaccurately check your work; it’s difficult for a computer to replace a human mind. Instead of relying on one, check with another person, and ask them to read your writing slowly. If you have doubts as to the accuracy of their revisions, look up the rules of usage for various aspects of grammar and usage. Also, the Internet is replete with suitable resources for brushing up on your grammar skills. Grammar book is one possible website, but there are many other resources available. Print resources are generally the most trustworthy, and Strunk and White’s The Elements of Style is a classic resource for writers that will serve you well in your college career. After you’ve completed this, it’s certainly not the time to print out your essay and call it quits! You should definitely print out your essay after this step, but you’re not quite done yet. Almost. With a printed copy of your essay in hand, now it’s time to read aloud to yourself. Yes, you might sound silly or as though you’re talking to yourself, but reading aloud is an invaluable proofreading skill to have. As you read, make sure you say every word that is printed on the page aloud. The effort you make in doing so will make you slow down, allowing your brain to see what’s actually on the page instead of what you thought was on the page. Essentially, this step is performed to give you a better perspective on how you sound to other people, so it’s a great time to make sure that the tone of your writing is appropriate. Do you sound too informal? Reading aloud will also help you catch misspellings, extra words and missing words, which are common in every writer’s work, no matter how experienced he or she is. You should also be sure to pause appropriately at all punctuation, which will offer another check that you’re using it correctly. This step will also help you notice how your pacing is working in the essay, and you’ll soon start to notice whether your sentences are too long, in which case you’ll have a hard time finishing them in one breath. You’ll also begin to notice if all your sentences are short and choppy. 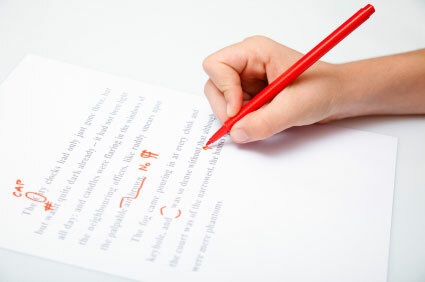 Correct any mistakes you find on the paper and then change these items on the copy in your word processor. Reading aloud will also help you detect awkward phrasing, which will be much more apparent if you’re speaking your sentences instead of skimming them in your head. Keep an eye out for misusage of words, as well. Grammatical errors are not always easy to spot, so it may be a good idea to read the essay several times through, each time focusing on a different aspect of grammar, such as subject-verb agreement, tense, number, etc. Repeated readings will help you keep focused on each potential mistake type, make corrections and then move onto the next mistake type. For that final step of assurance that you’ve done your best, and you’ve given yourself the greatest chance possible of admission to your dream school, you should wait a few days after you’ve completed your final edits, and then give your essay one final reading. Read the essay one more time aloud to yourself. Did you make any mistakes while editing? Have you followed the application instructions precisely? All you want to do is double check yourself. Don’t go overboard. No essay will ever be perfect, and if you edit too much, you might just edit the life right out of your essay. Edit until you feel satisfied and then send it off. You can relax knowing you’ve done your best.